Bridget Riley (b. 1931) trained as a figurative painter before emerging as one of the most prominent masters of Op-Art. Since then her abstract work has continued to garner critical acclaim and remains as relevant as ever--with a major new site-specific painting opening at the Chinati Foundation in Marfa, TX, in October 2017, and an exhibition at David Zwirner Gallery, NY, in 2018. 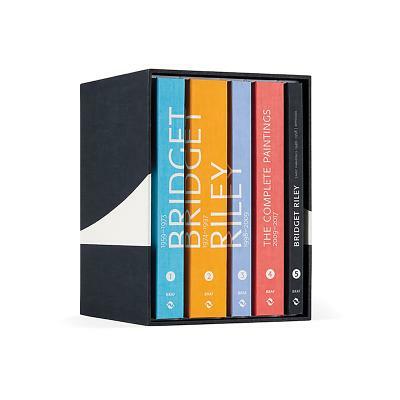 This complete catalog of Riley's paintings assembles her remarkable oeuvre for the first time, reproduced to the highest standards in a highly collectible five- volume box set: a must- have for devotees of twentieth century contemporary art.